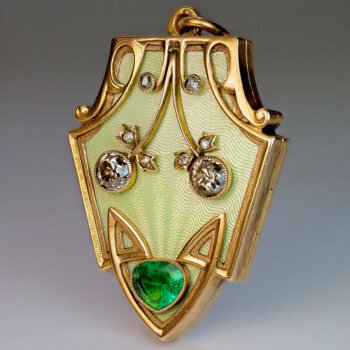 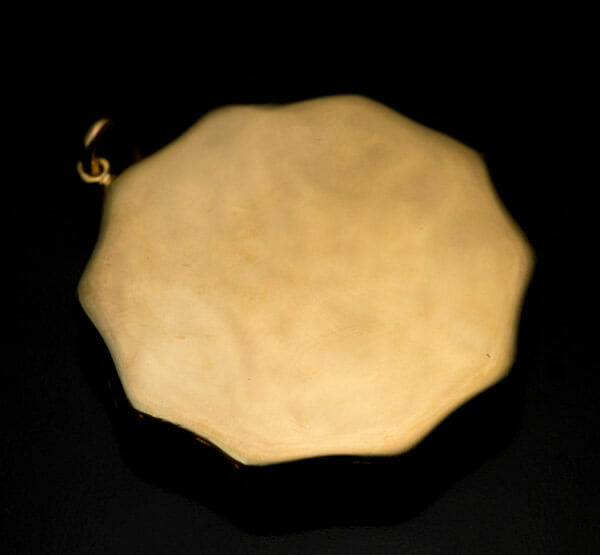 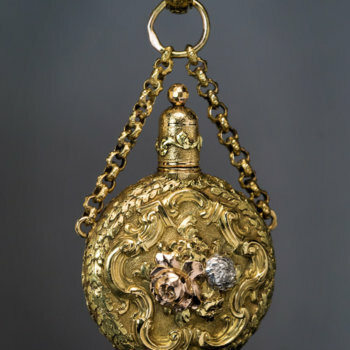 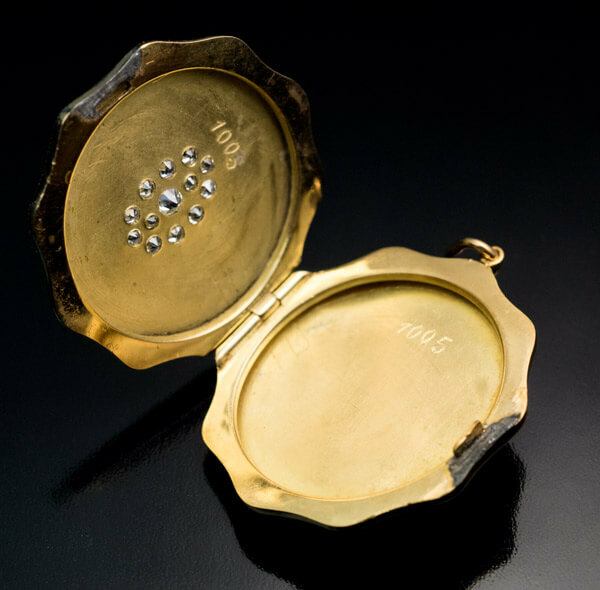 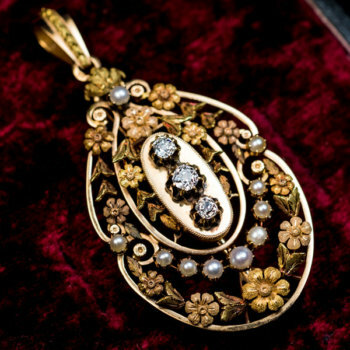 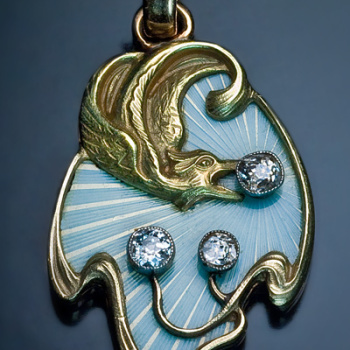 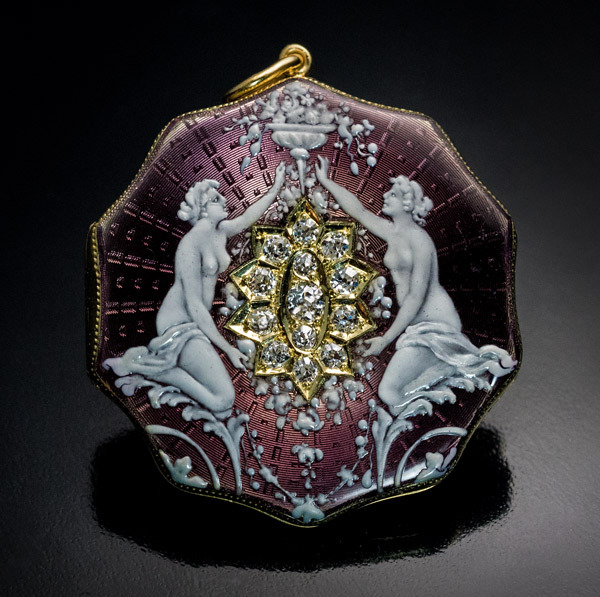 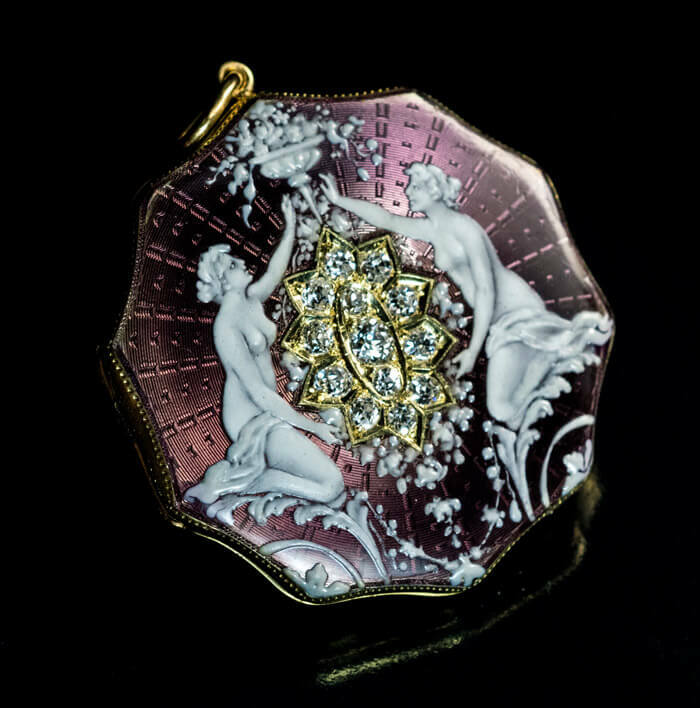 An antique 18K gold locket pendant is superbly enameled “en grisaille” with two graces holding floral garlands over a diamond-set ten pointed star. 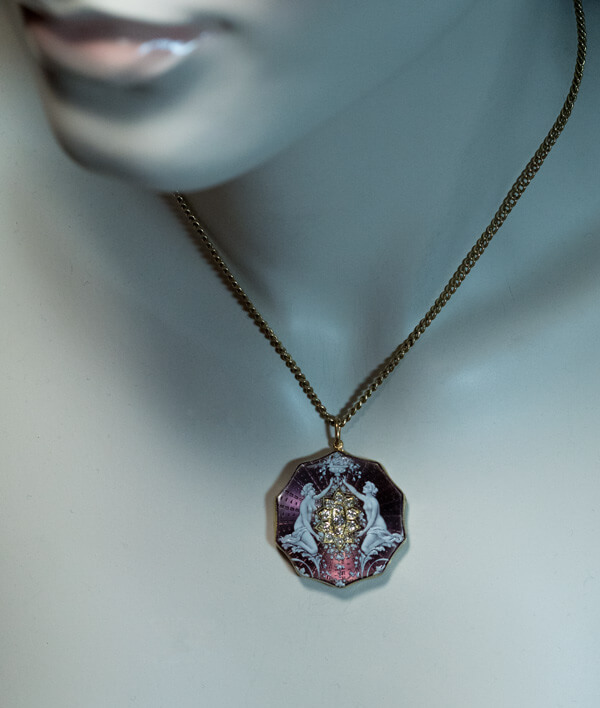 The field is covered with a very fine purple guilloche enamel. 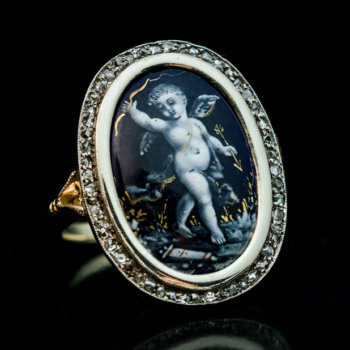 Grisaille is a painting executed entirely in shades of grey. 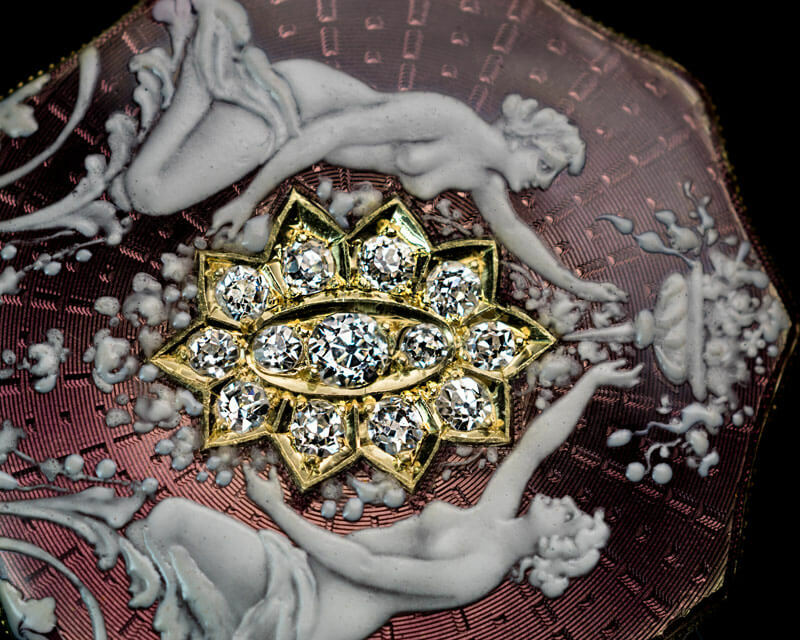 The star is set with 13 old European and old single cut diamonds. 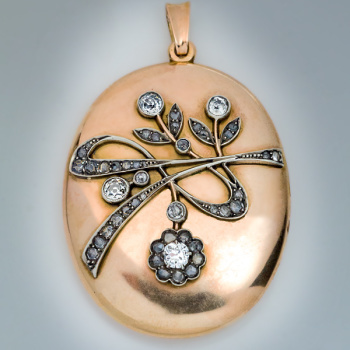 Estimated total diamond weight is 0.62 ct.
Numeral ‘1005’ is hand-engraved on both halves inside the locket.